Everyone agrees that the mobile phone is the dominant digital computing device, and likely to remain so for some time to come. But consensus breaks down when it comes to a vision of the device that will take second place in the future. Apple and Google have both created that secondary device — Apple with its iPad and Mac, Google with its Android tablets and Chromebook laptops. Now Microsoft has unveiled its vision of the future… and it’s chaos. The company is planning for a future in which no single device dominates. Although that strategy might appear to be “a bit crazy and rife with internal and external tensions,” NYT admits it just might work. 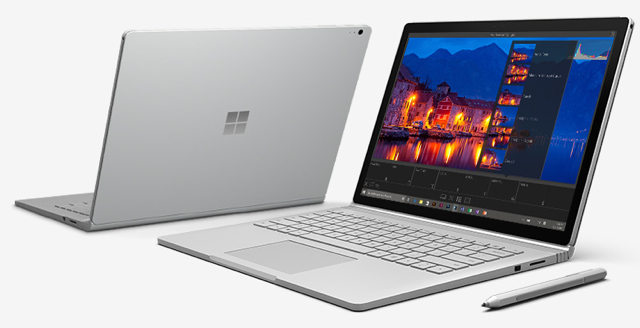 The revelation of this strategy became clear at a recent news conference, says NYT, when Microsoft unveiled several new products, among them the Surface Pro 4, a tablet-PC hybrid that goes for about $1,030 with keyboard cover, and the Surface Book, a laptop with a removable screen that turns it into a tablet, for $1,500. “Perhaps the very idea that there will be a second-place winner is a mistake. What if the future of computing is chaos? We’ll have smartphones and then a dizzying array of desktops, laptops, tablets and hybrid devices — and different people, for different reasons, will choose different sets of each,” says NYT. If so, Microsoft’s, and Nadella’s, strategy fits quite nicely into what the future of computing will become. “No other company in the industry operates quite this expansively,” concludes NYT.